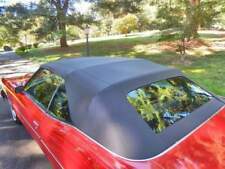 Fit CHEVY SUNROOF SUN MOON ROOF VISOR DEFLECTOR VENT WIND RAIN GUARD 42"
1971-1975 Chevy Caprice and Impala Convertible Top Motor Relay - Brand New! 1977-1990 Chevrolet Impala or Caprice. 4-door sedan (does not fit the station wagon). The door seals take a lot of abuse from the weather and they will shrink and get hard as they age and before you know it the door doesn't seal right, you can get water leaks and noise from the air blowing in. Chevrolet Impala; Chevrolet Caprice;. IN ADDITION TO THE TOP. which is best done with a stapling gun. YOUR COLOR CHOICE. in the colors shown below There is no sewing involved in the install. Pontiac Catalina, Brougham, Bonneville, and Grandville. IMPALA CAPRICE. (NO DEFROSTER GRID). BLACK CONVERTIBLE TOP NON-HEATED GLASS WINDOW. BLACK CONVERTIBLE TOP NON-HEATED GLASS WINDOW. Replace your worn, dirty or broken top and glass window with our restoration quality convertible top and NON -HEATED GLASS WINDOW made with Haartz vinyl. 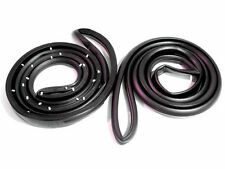 Fits all 1971, 1972, 1973, 1974 & 1975 Chevy Caprice & Impala Convertible's. Header bow, includes tack strip and wind lace. This is the front header bow that closes down on the top of your windshield. Inside and outside of both doors . 1971-1976 Chevrolet Impala, Caprice or Caprice Classic convertible or 2 door hardtop (see note in red below) ?. Convertible Top Specialists now has available a.
IMPALA CAPRICE. (NO DEFROSTER GRID). CONVERTIBLE TOP NON-HEATED GLASS WINDOW. CONVERTIBLE TOP NON-HEATED GLASS WINDOW w/WHITEVINYL TRIM. Replace your worn, dirty or broken top and glass rear window with our restoration quality convertible top and NON-DEFROSTER GLASS WINDOW made with Haartz vinyl. 1977-1985 Chevrolet Impala 2-door sedan with rear wheel drive or 1977-1987 Chevrolet Caprice 2 door sedan with rear wheel drive. The door seals take a lot of abuse from the weather and they will shrink and get hard as they age and before you know it the door doesn't seal right, you can get water leaks and noise from the air blowing in. 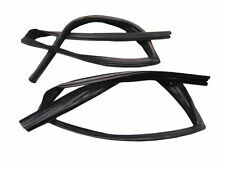 New trunk weatherstrip for your Chevrolet, fits the following applications 1965-1970 Caprice. 1959-1970 Impala. Farmingdale, New York 11735. 1991-1996 Chevrolet Caprice 4-door sedan or station wagon. The door seals take a lot of abuse from the weather and they will shrink and get hard as they age and before you know it the door doesn't seal right, you can get water leaks and noise from the air blowing in. The rain gutter wire threads thru the rain gutter material, it mounts at the rear edge of the convertible top & supports the gutter which catches the run off water from your convertible top and drains it out of your car. 1977-1985 Chevrolet Impala or 1977-1986 Chevrolet Caprice 4-door sedan or station wagon. The door seals take a lot of abuse from the weather and they will shrink and get hard as they age and before you know it the door doesn't seal right, you can get water leaks and noise from the air blowing in. 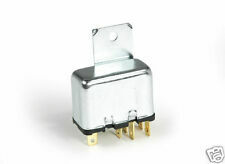 FITS IMPALA / CAPRICE / SUPER SPORT 1965-1976. IF YOU HAVE A WARRANTY PROBLEM. PADS LONG AND SHORT. BLANK CURTAIN. PLASTIC CURTAIN. Hydro-E-Lectric has been providing quality made products since 1976. Top Motor drive cable. Driver side. Fits all 1971, 1972, 1973, 1974 & 1975 Chevy Caprice & Impala Convertible's. Convertible Top Motor Relay. Hydro-E-Lectric has been providing quality made products since 1976. 1965-1970 Chevrolet Impala and Caprice. This is the pair of convertible top. Hold Down Cables. hold down cables. Fully window protected from sun shade, wind, rain, snow deflector. 1pc 43" (41.8" Between The Inner Edge) Large Size Universal Fit Roof Visor. This Roof Visor Can Only Fit The Sunroof/MoonroofWhich Is Not Wider Than 41.8". Power vent window gear for the passenger side. Fits 1965-1968 Cadillac's. Also fits all 1965-1968 GM'S. CONVERTIBLE TOP CLEAR VINYL WINDOW w/MATCHING VINYL TRIM. Replace your worn, dirty or broken top and glass rear window with our restoration quality convertible top and economical CLEAR VINYL WINDOW made with Haartz vinyl. UVS100 Custom Sunscreen: 1991-96 Fits CHEVROLET CAPRICE CLASSIC (Green Ice) (UV10443GN) This premium quality, custom patterned folding heat shield has a silver reflective fabric on the outer side, soft felt on the inside. Power vent window gears for the driver and passenger side. Fits 1965-1968 Cadillac's. Also fits all 1965-1968 GM'S. You get the left and the right side. Fully protected from sun shade, wind, rain, snow deflector. 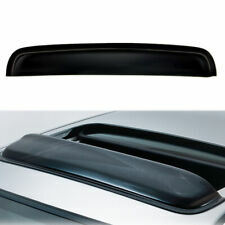 1pc 43" (41.8" between the inner edge) universal fit roof visor (Installation instruction is not included). 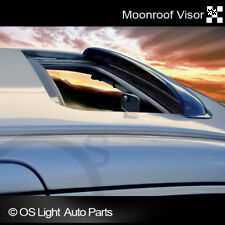 This Roof Visor Can Only Fit The Sunroof/Moonroof Which IsNot Wider Than41.8". Part #: D6063. This way we can make sure it gets to the right place. We aren't all about big policies, so we try to keep things simple. We're working to build a state-of-the-art, online auto repair resource complete with the parts, people and information you need to stay in motion. 71-75 CHEVROLET IMPALA, CAPRICE. CONVERTIBLE TOP CLEAR VINYL WINDOW w/MATCHING VINYL TRIM. Replace your worn, dirty or broken top and glass rear window with our restoration quality convertible top and economical CLEAR VINYL WINDOW made with Haartz vinyl. BLACK or WHITE NON-HEATED (NO DEFROSTER GRID) GLASS WINDOW. (NO DEFROSTER GRID - CONVERTIBLE TOP IS NOT INCLUDED). 71-76 GM FULL SIZE CONVERTIBLES. Manufactured by the original supplier to GM - this rear window curtain is made using the original patterns. Part #: D6063. From the very beginning, weve earned the trust of automotive manufacturers like Ford and GM. This marked the beginning of Warren Distributing, Inc. Our operations utilize the latest computer technology and computer connectivity. '65-'68 Caprice Impala Convertible Top Boot The perfect solution to a missing or deteriorated boot! Details Excellent quality. Made in the U.S.A. Boot covers the folding top mechanism for a nice finished look. Typically boot should match interior color. See chart for available colors. Ask about additional colors not shown. Vinyl color samples mailed upon request. ​Additional Info Free shipping within the continental U.S. only. 3 year warranty. Image is used for reference only. Boot for your vehicle application will be shipped. Allow 14-21 business days for production. In a hurry? Contact us for stock status. Extended production and delivery times occur during busy season. Inquire. CA & CT residents charged sales tax. Info Needed Specify color of boot with order. Specify type below. 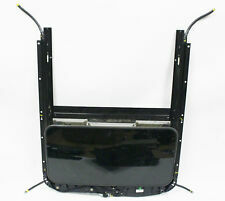 JDM 38" 980mm Moon Roof Guard Sunroof High quality with 3M tape Fast shipping. Chevy Caprice Impala Convertible Top Boot 1971-1976 - Made in the U.S.A.! '71-'76 Chevrolet Impala Convertible Top Boot The perfect solution to a missing or deteriorated boot! Details Excellent quality. Made in the U.S.A. Boot covers the folding top mechanism for a nice finished look. Typically boot should match interior color. See chart for available colors. Ask about additional colors not shown. Vinyl color samples mailed upon request. ​Additional Info Free shipping within the continental U.S. only. 3 year warranty. Image is used for reference only. Boot for your vehicle application will be shipped. Allow 14-21 business days for production. In a hurry? Contact us for stock status. Extended production and delivery times occur during busy season. Inquire. CA & CT residents charged sales tax. Info Needed Specify year and color of boot with order. Cloth storage bag for fiberglass two piece boot, has divider to separate halves. Hydro-E-Lectric has been providing quality made products since 1976. Made with original type cloth. 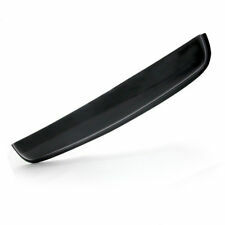 Item: Sunroof Shield Top Roof Visor Deflector for Full Size Vechicle (1080mm, 42.5" Long). Note:Sunroof Visor 1080mm, 42.5" in Length. Sunroof Visor. Light Tinted Sunroof Visor. Rear Visor. Model:Fit All Model with Sunroof, Moonroof. Part Number: D6063. Warranty Duration:1 Year. About the Part. Improve Safer Driving. Reduce Wind, Noise & Keep Rain Out. On the other hand. whatever that can make you happy. Made of Top Quality Acrylic in Dark Smoke Color UV-resistant Material. No Cutting & No Drilling (High quality 3M tape incleded). 3rd Bow Plastic Guide. Attaches to the 3rd bow. Screws included. Hydro-E-Lectric has been providing quality made products since 1976. Part #: D6063. You need to MOUSE OVER the left column to read the complete text. Part #: PT533. You need to MOUSE OVER the left column to read the complete text. Impala - Biscayne - Bel Air - Caprice. Bel Air - Biscayne - Impala - Caprice Convertible models. Convertible Top Lift Cylinders. New Reproduction Convertible Top Lift Cylinders. 1965 1966 1967 1968 1969 1970.